You can build a Spanish Galleon in a very big shipyard or huge. 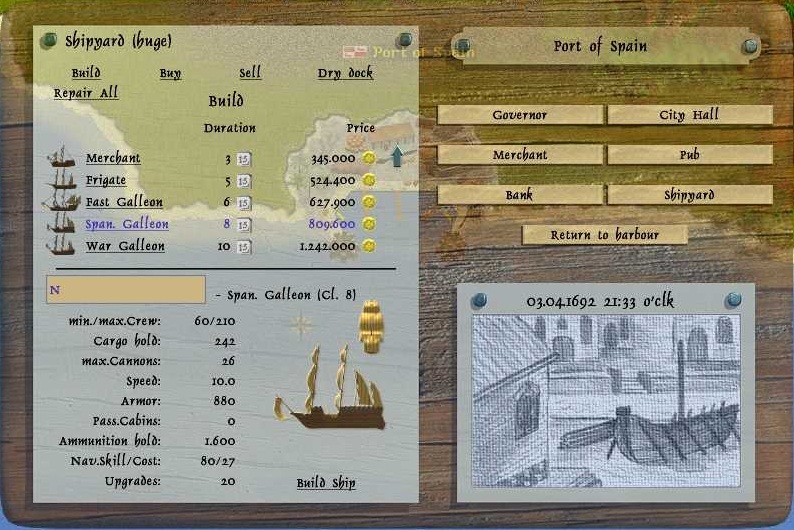 To build a Spanish Galleon you go into the shipyard and press build. Select the Spanish Galleon and you will be able to see what the Spanish Galleon have when it got 0 upgrades. 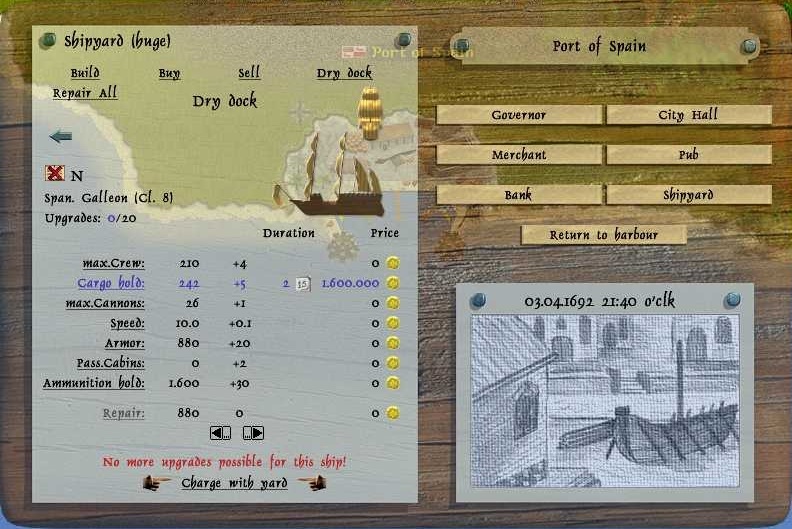 Now go into the dry dock and select the Spanish Galleon you just started to build, you can now add the upgrades you desire, you can see at the + what you will get for each upgrade. On this example 20 x cargo is selected. Now your Spanish Galleon is being built, you can see when it is done, by holding the curser over the time indicator. You can see it will take 36 hours to build the Spanish Galleon. This is 3 hours real time.